…Is alot, and finding your dining table filled with boxes all of the sudden isn’t always a thrill, but in this case it could come any time. 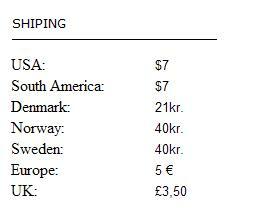 Just checked out shipping costs for the states, South America, Asia and well, pretty much the whole world. It is 40 DKK, which is around $7 (price lists follows). The shipping costs are quite the price for a little letter, but we have, as already explained before, no intentions in charging for the actual CD. We only need to cover our shipping costs, and we’ll be fine. 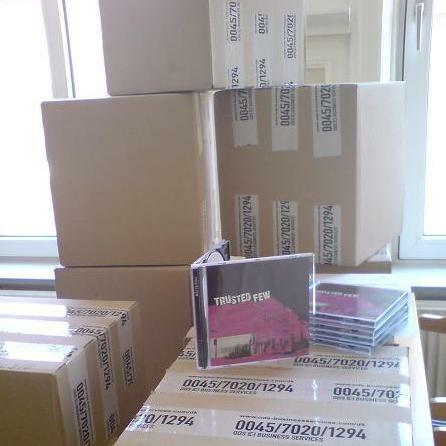 Right now we are trying to get an overview over where to send the CD’s and that means doing a lot of paperwork and boring stuff like that. 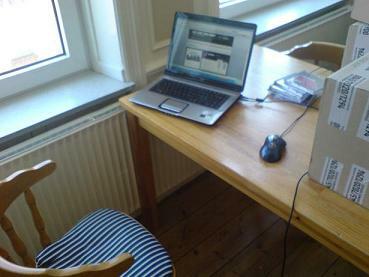 So right now I have installed my personal little office showed below. It’s humble but cosy and I have a great view. More updates on where to get the CD’s are underway and we are working hard on making the CD available for you guys as soon as possible.